The Douglas Hyde Gallery, Dublin has mounted an exhibition of portraits by Alice Neel called Alice Neel: Family. The works have been selected by Jeremy Lewison and a catalogue with a text by psychoanalyst and writer Adam Phillips has been published to accompany it. 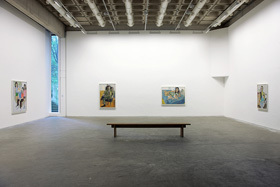 The exhibition is part of Dublin Contemporary 2011. The theme of the exhibition is Neel's lifelong interest in depicting members of her family. It consists of twelve paintings and nine works on paper and is the first Neel show to be presented in Ireland. 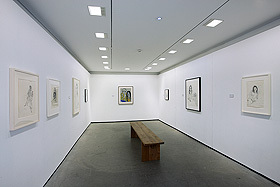 The exhibition runs from 6 September to 16 November 2011. On 2 November Jeremy Lewison will give a lecture on Neel at Trinity College Dublin, which is open to all.